Parenting is complex and ever-changing. Just when I think I have it all figured out, everything changes! My daughter has always been uber confident. Seriously. She was born into this world with a self-awareness and confidence that I could only dream of mustering as an adult. As the tween years creep in on us though, I'm noticing some major changes in her behavior when she's around peers. Nothing too alarming, but enough to draw pause when I observe her caving and conforming. Her personality is amazing, and I never want her to lose herself or sell out for the sake of others. I don't have large amounts of experience with navigating these years with a daughter. However, I can takeaway from own experience as a young tween/teen girl, and navigate accordingly. We're placing an emphasis on living a healthy lifestyle - not on size: "Does this make me look fat?" She's only 8, and this is a question that she's posed on more than one occasion. As she gets older, she's becoming increasingly more aware of what the media and society portray and categorize as beautiful. I want her to understand how beautiful she is, just as she is. Healthy body image is necessary, and young girls in the tween / teen category shouldn't be so worried about fitting any one mold. Instead choose to focus on being healthy, by staying active and by eating a healthy balanced diet. We're fostering positive friendships: Negative outside influence can take a huge toll on self-esteem. Foster positive friendships with like-minded girls. In an age where peer pressure and trend-setting rules the school yard, she'll be one step ahead if she's armed with a few good friends that share her same likes/dislikes and value system. We're teaching her to have self-respect - As parents, we often place a huge emphasis on the need to respect parents, boundaries, rules, others; the list goes on and on. Basically, respect should be doled out in healthy doses, all around. Sometimes we forget to teach the equally important lesson of self-respect. It's no secret that tweens man the front-lines when it comes to the rapidly changing fashion / accessory trends. But as parents, its important to teach them how they can be on-trend, while also respecting themselves. 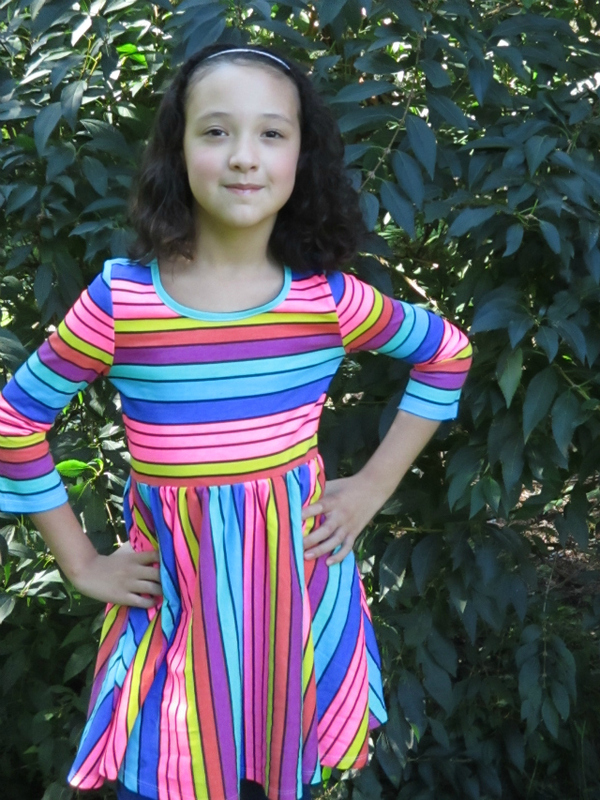 Every season, as the racks fill with miniature versions of adult fashions for young girls, I turn to FabKids for my daughter. 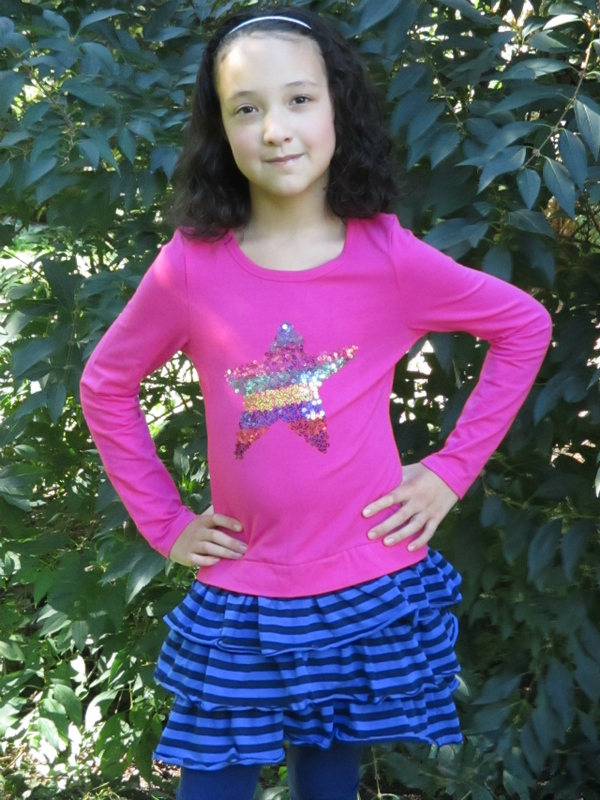 She loves that she can express her own individual style, and I love that they offer fashion forward / on-trend age appropriate choices. I'm leading by example: This can often be the hardest of all. As adults, we aren't immune to the effects of the media. However, it is necessary to always be aware that our young daughters are watching every move we make and they're listening to every word we speak. 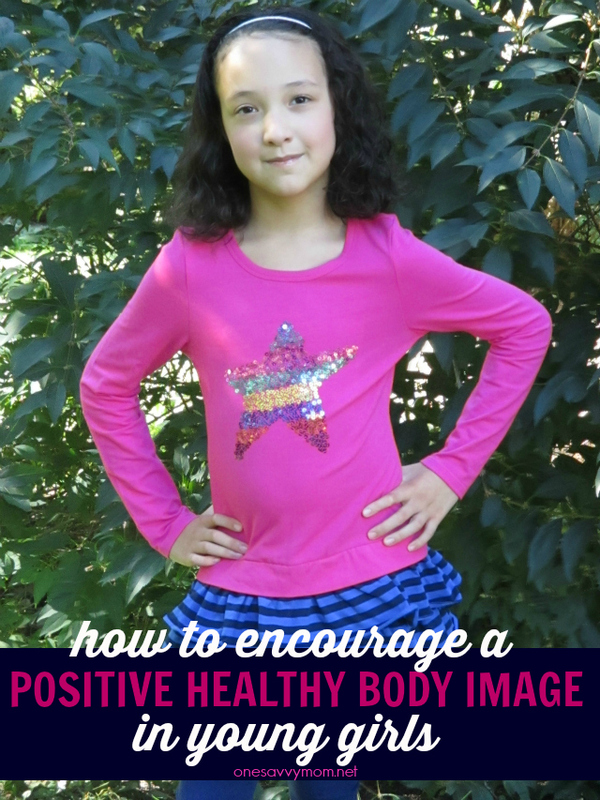 Maintain a healthy body image yourself, and lead by example. They absorb negativity faster than you think; keep it positive! Say a prayer for me you guys. I know the teen years won't be easy - but they'll certainly be worth it. Here's to raising the next generation of confident, strong women! Disclosure: As a FabKids blogger, I received an outfit for review. We love them so much, we are regular patrons too - as VIP members! I really like the-We're placing an emphasis on living a healthy lifestyle - not on size! It is so important to develop inside beauty and not what our appearance means on the outside! Teaching to have self respect goes a long way in helping a person not make mistakes when they are young! I think it is so important to teach girls what real beauty is, and what normal is. THey need to define themselves by reality, not by what TV or models are portraying. That isn't real - only a few people are tall, impossibly skinny, etc. As you say, girls need to realize that they are beautiful as they are, not as society defines. I raised three of my own teenage daughters as well as three other girls who came to live with me. Yes, they are some tough years but one thing I am glad I taught my girls was be yourself, don't let other people talk you into something you know is wrong, respect yourself as well as others, love who you are and not what someone else wants you to be and to stand on your own two feet and be independent. And by golly, these girls (as well as I) survived their teenage years. I love these suggestions. I have three girls of my own, and I know how important it is to start the healthy emphasis early to combat the negative that can come from the outside world.